Gardner+Gerrish, Landscape Architects of Providence, Rhode Island was created by partners Megan Gardner, RLA, and Timothy Gerrish, RLA. We believe that design excellence is based on the results of art, science and technology. A thorough understanding of natural systems combined with technical expertise and a quest for knowledge regarding new materials and methods of improving their application has led to award winning design solutions. Tim is a registered landscape architect and golf course architect with over twenty years of experience as a project architect. He has always been passionate about sports and recreation and continues to be active running trail and road races, rock climbing and coaching middle school girls’ basketball. 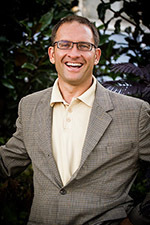 Tim received his bachelor’s degree in Horticulture from the University of Maine. Following, he practiced traditional methods of landscape maintenance and construction where he renovated and maintained numerous commercial and residential projects in the Boston Northshore-Cape Ann area. He excelled at the business aspect of proper construction sequencing and attention to detail. 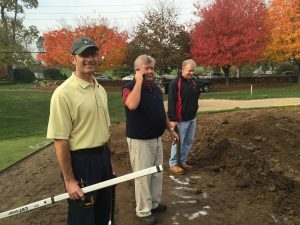 Tim’s graduate landscape architecture studies at the University of Massachusetts, Amherst, led to his tutelage under Geoffrey Cornish, FASGCA, renowned golf course architect and historian. Tim’s responsibilities at Cornish, Silva and Mungeam included all facets of golf design, including project management, marketing, construction administration, construction documents, permitting, etc. 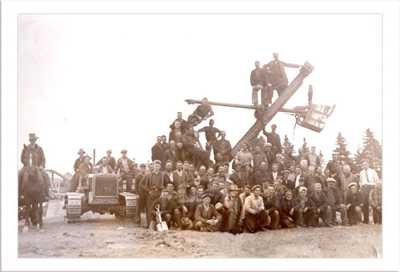 Mr. Cornish, standing far right, as project architect for the Stanley Thompson designed Highland Links Golf Course in Cape Breton Highlands National Park, Ingonish Beach, Nova Scotia. In his tenure the firm was ranked the 2nd best firm in the country only behind Coore and Crenshaw. Gerrish was 1999 Golf World Architect of the Year Brian Silva’s senior associate and worked on projects such as Black Creek Club (Chattanooga, Tennessee) named in the Top 100 Modern courses by GolfWEEK in 2003 and the renovation at Brookside Country Club, (Canton, Ohio) named the Best re-model in the country by GolfDigest in 2006 and Renaissance Club (Haverhill, Massachusetts) named New England Golf Course of the Year and one of just three national finalists in the Golf Course Owner’s Association’s “Course of the Year” competition in 2012. This type of exposure, along with involvement in preparation of Olympia Fields for the 2003 US Open with Mark Mungeam has solidified Gerrish’s design abilities. His first design, Sassamon Trace Golf Course in Natick, Massachusetts, was the culmination of his Master’s Thesis project: Contours of Trash. Following many years of research, travel and study of landfill courses around the country, he put this knowledge to practical use in development of the landfill golf course. 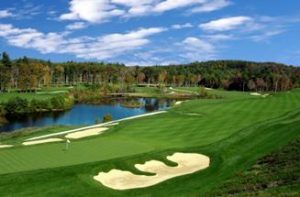 Another one of Gerrish’s tasks was permitting and planning the first golf course in New England to receive the Signature Series in the Audubon Cooperative Sanctuary Program Red Tail Golf Club in Devens, Massachusetts. Upon debut, Red Tail was listed among GOLF Magazine’s “Top 10 New Courses You Can Play”. Gerrish was an Instructor at the prestigious Stockbridge Winter School of Turf Grass Managers at the University of Massachusetts, Amherst. For over ten years, a teaching assist at the Harvard Graduate School of Design—Summer Program for golf course design and lectured at several universities and conferences on golf course architecture. Tim’s hands on approach to construction, whether on the sand pro or with the laser transit, has assured the constructability of projects. He finds listening to the client, asking probing questions and identifying a realistic budget results in a successful project outcome. His expertise includes consultation in arbitration proceedings as an expert witness in select golf course architecture matters.